In today’s retail environment, there is greater competition than ever before. Consumers have unprecedented opportunity to research products, price and availability, and subsequently shop the world with the click of a mouse. Loyalty – previously presumed according to proximity, familiarity and habit – is at a premium. As a result, retailers have been forced to focus on customer needs and wants at an extremely granular level. The increased speed of business and narrowing margins demand that retail businesses make supply decisions with increasing accuracy and in shorter amounts of time. Response to consumer demand in real or near real time provides retailers with a competitive advantage by promoting loyalty and opportunity based sales interactions. Yet, in order to succeed in this environment, retailers need to collect, store, and analyze vast volumes of customer behavioral data. Efficient, time-relevant use of this data requires investments in technology, including omni-channel data aggregation, rapid analytics, and superior reporting capabilities. Moreover, in today’s day and age, big data isn’t the only opportunity for IT based improvements. Technology is increasingly used to manage vendor relationships, payment timing, order tracking and inventory management. Cost reductions enabled by technology provides retailers with a significant opportunity to improve their bottom line. In short, technology plays a role across all points of the retail ecosystem. Technology can be used to help retailers overcome both strategic and operational challenges, by connecting high-level business objectives with day-to-day activities to ensure more informed, fact based decision making. Technology allows retailers to improve efficiencies, reduce costs, strengthen customer relationships, and drive growth and revenues. 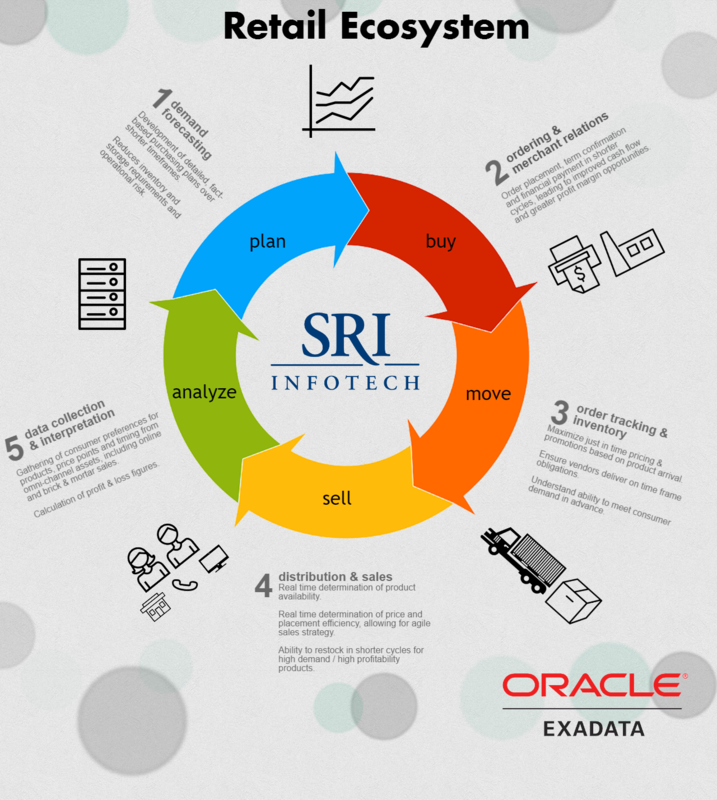 SRI Infotech has substantial experience in all sectors of the retail ecosystem. 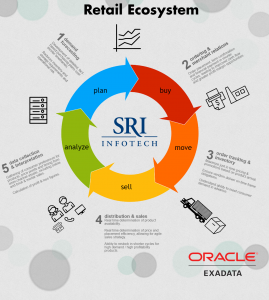 From back-end infrastructure to software and app development to big data, SRI’s team of highly skilled engineers and developers can help your retail organization streamline operations and improve its bottom line. Contact us today to learn more.